The St. Louis Cardinals system went 5-2 on Sunday. Players of the Day Rangel Ravelo and Adolis Garcia each homered and plated four in Memphis’ home win. Casey Meisner threw seven scoreless innings for Palm Beach. Recaps from games played on Sunday, June 24. Fueled by a pair of standout performances at the plate and a solid outing on the mound, the Redbirds rolled to an 11-4 win over the Baby Cakes. Memphis first baseman Rangel Ravelo and right fielder Adolis Garcia are our co-Players of the Day. Ravelo and Garcia each hit their ninth home runs of the season and drove in four runs in the victory. Ravelo is now up to 39 runs batted in on the season, while Garcia is at 32 RBI. 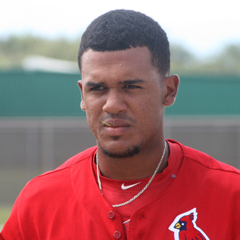 Redbirds shortstop Wilfredo Tovar was 1-for-3 with two walks and three runs scored, assisted by his three stolen bases. Kevin Herget earned his fourth win of the season with one run allowed over six innings – a quality start. Herget fanned seven Baby Cakes and walked none. Andrew Morales was tagged for four runs across two innings of relief before Tommy Layne pitched a scoreless ninth. 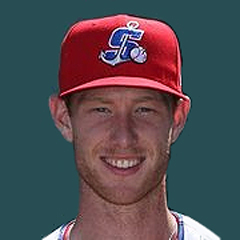 Monday’s game: Jake Woodford (0-0, 0.00) at Colorado Springs Sky Sox, 7:40 PM Central time. With their six-run burst in the top of the second inning, the Travelers skimmed by the Cardinals, 6-5, in Sunday’s contest at Hammons Field. The offense for both teams was confined to the first and second innings. The Cardinals scored four in the first and another in the second, but it did not quite match up to the Travelers’ production. Arkansas did their damage against starter Austin Warner, who logged six frames in the first Double-A start of his career. Warner took the loss, but it is worth noting that he did not allow a hit after the second inning. In fact, Warner, Jason Zgardowski, and Ian McKinney held the Travelers hitless from the third inning on. 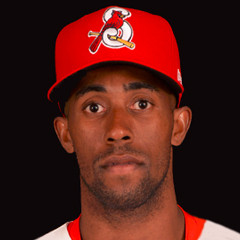 Cardinals left fielder Victor Roache’s two-run home run, his 16th of the season, led his team’s offense. Center fielder Lane Thomas and designated hitter Stefan Trosclair each doubled and scored a run. Springfield left just five runners on base while going 1-for-5 with runners in scoring position. The Cardinals, just 1-5 to open the second half, are off until Thursday, as the Texas League All-Star Game is Tuesday evening, June 26. Seven Cardinals were elected to the North Division team – infielder Tommy Edman, outfielders Victor Roache and Lane Thomas, and pitchers Connor Jones, Chris Ellis, Conner Greene and Jake Woodford. The latter three, however, have since been promoted to Memphis. The Stone Crabs scored a run in the top of the ninth to spoil the shutout; nonetheless, the Cardinals cruised to a 7-1 victory over Charlotte at Roger Dean Stadium. Palm Beach starter Casey Meisner turned in seven scoreless innings to earn his fourth win in five decisions this year. Robbie Gordon pitched a clean eighth inning, and John Kilichowski allowed Charlotte’s lone run in the ninth, though it was to no avail. Cardinals right fielder J.B. Woodman had a fine game at the plate, going 3-for-4. Woodman doubled, homered and scored three runs with two runs batted in. First baseman Juan Yepez hit his fifth and sixth doubles of the season and also drove in a pair. Next game: TBA vs. Bradenton Marauders, 5:30 PM Central time on Tuesday. With three unanswered runs from the sixth inning on to support a successful outing on the rubber by Paul Balestrieri, the Chiefs defeated the Bees, 4-2, in Peoria. First baseman Yariel Gonzalez drove in catcher Dennis Ortega with a two-out base hit in the bottom of the sixth. In the seventh, third baseman Elehuris Montero came through with another two-out hit, which plated left fielder Nick Plummer and center fielder Scott Hurst. 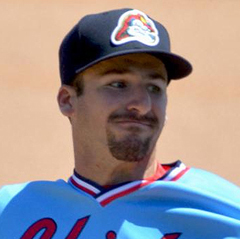 Chiefs starter Paul Balestrieri improved his record to 3-3 with eight innings of two-run ball. Balestrieri limited the Bees to six singles and one walk with four strikeouts along the way. Fabian Blanco secured his fourth save of the year with a scoreless ninth. 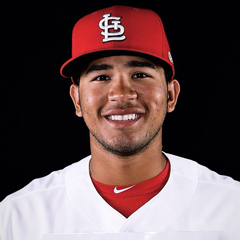 Monday’s game: Alvaro Seijas (2-3, 4.41) vs. Kane County Cougars, 7:00 PM Central time. The visiting Muckdogs scored five runs late against the State College bullpen to come from behind and beat the Spikes by an 8-6 final score. Jake Dahlberg fanned six batters and allowed three runs in his start of five innings. Reliever Jacob Schlesener recorded only one out in the sixth and gave up what proved to be the game-winning runs. Schlesener was charged with his first loss and first blown save of the season. Cory Malcom allowed three runs in the seventh before Edgar Gonzalez turned in two scoreless frames. At the dish, second baseman Nick Dunn and center fielder Wadye Ynfante batted in two runs apiece. Dunn hit his fourth double of the season, and he and third baseman Edwin Figuera each scored twice. 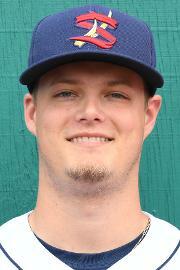 Monday’s game: Chris Holba (0-1, 13.50) vs. Batavia Muckdogs, 6:05 PM Central time. With three, three-run frames to their credit, the Cardinals enjoyed a 12-9 win over the Mets in Johnson City on Sunday. Cardinals right fielder Brian Sanchez drove in five runs, three on his second home run of the campaign. 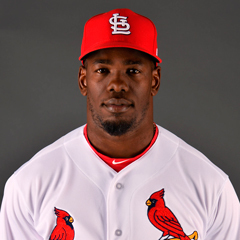 The Cardinals took advantage of 12 walks from Mets pitching; designated hitter Carlos Soto walked four times and scored twice, and third baseman Nolan Gorman drew three walks and scored as many runs. Oneiver Diaz started for Johnson City and surrendered seven runs across his five innings. Tommy Parsons pitched the sixth and seventh innings and allowed just one run. Parsons picked up his first win of the season, while Kyle Leahy pitched two innings to earn his second save. Monday’s game: TBA at Elizabethton Twins, 6:00 PM Central time. The first-place rookie level Cardinals extended their record to 5-0 with a home win on Sunday over the Astros. The Cardinals struck first with a run in the first, but the Astros grabbed the lead in the top of the third before the Cards answered with two more. The Astros re-tied the score in the sixth, but again the Cardinals responded with three runs to pull ahead for good. Diego Cordero earned his second win in two starts by yielding three runs in six innings on five hits and a walk. The right-hander fanned five. Reliever Perry DellaValle was on fire, securing eight of the final nine outs via the strikeout. He allowed two hits and an unearned run due to a Mateo Gil error, earning the save, his first. Catcher Ivan Herrera doubled, walked and had a sacrifice fly, plating four in total. Leadoff man Gil singled, doubled, walked and scored a run. Josh Shaw and William Jimenez each singled twice, with the latter coming home both times. Monday’s game: TBA at Marlins, noon Eastern time. The DSL takes Sundays off, but the Cardinals’ two squads resume play at 10:30 a.m. Monday. Cardinals Blue entertains the Angels at Baseball Oasis while Cardinals Red play at the Mets2. Unfortunately, the starting pitchers in the complex leagues are not announced in advance.